Over on USK.org they’re doing an article on winter sketching, and they’ve tapped a few northern correspondents for our top tips on winter sketching. Click on over for the full article. Inspired by the request from our editor Suhita, I check the weather – and it’s zero centigrade today (Dec 13). which is pretty nice considering the forecast has us in for -16’C this weekend. Therefore – today it is! 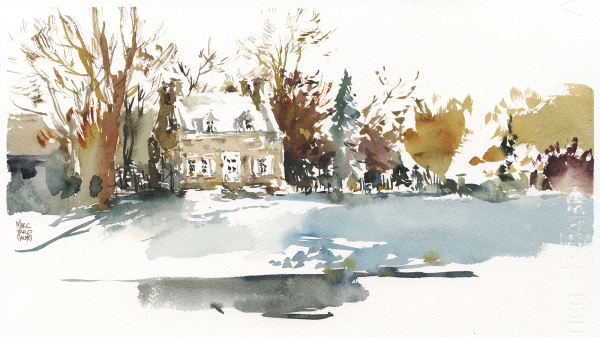 I grab my go-bag and head out for a quick sketch in the snow.